MALAYBALAY, Bukidnon - Local Government Units of Cagayan de Oro City, Bukidnon Province, and Misamis Oriental Province together with the Army’s 403rd Brigade, the City and Provincial DILG Offices and the PSWD Offices formed a team and visited the first ever fully operationalized Half-Way House (Happy Home) facilities for former NPA rebels at Mati, Davao Oriental. The convoy left Malaybalay City on January 22, 2019, for the trip to Mati City, Davao Oriental. 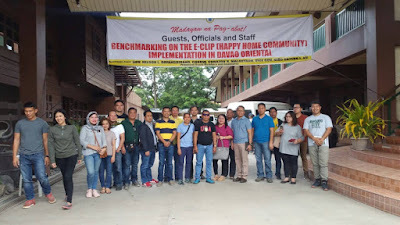 They were warmly welcomed by the Davao Provincial Government, Provincial DILG Director Ms. Yvette Sunga and 701Bde Commander Col. Manuel Sequitin on January 23, 2019. 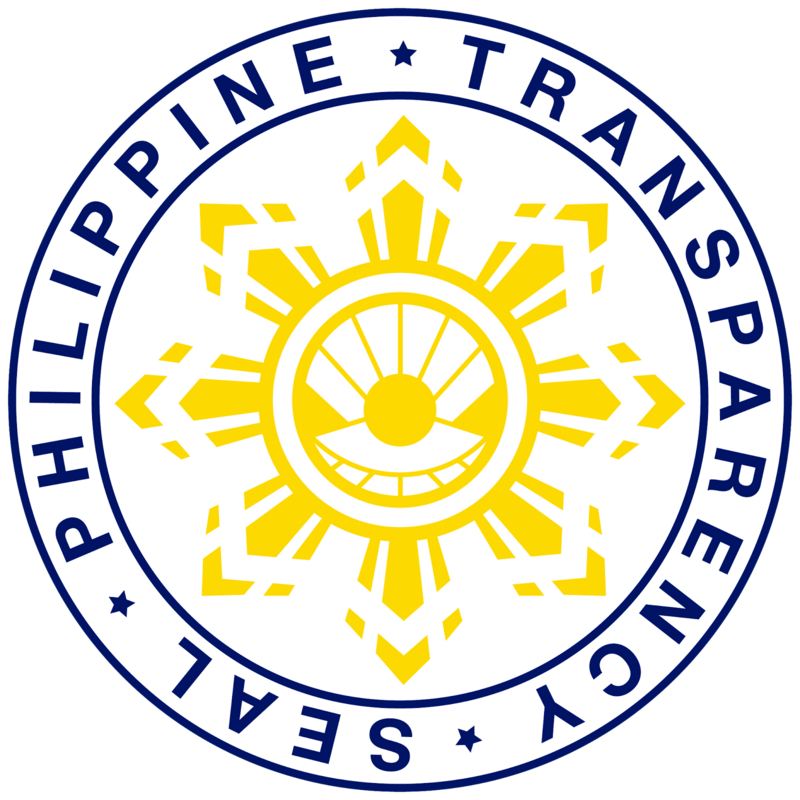 The Davao Oriental “Happy Home” is being run by the Provincial Social Welfare Development Office under the direct supervision of the Provincial Governor. As a "halfway house", it prepares former rebels "halfway" to their return to normal lives and be reintegrated to the communities of their choice. It was acknowledged by the DILG central office that the Davao Oriental Happy Home, which started operating since 2011, as the best model for establishing a rebels' rehabilitation center. The visit of Region10 team is aimed at obtaining the best practices which they could use to replicate the same facilities and programs for former NPA rebels in Cagayan de Oro, Misamis Oriental, and Bukidnon. 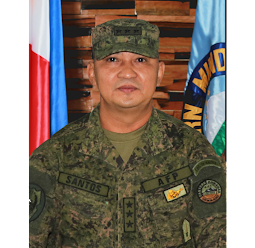 Col Ferdinand Barandon, the Deputy Bde Commander of 403Bde who led the Region10 delegation expressed his appreciation and gratitude to the 701Bde, Davao Oriental DILG and the Provincial Government of Davao Oriental. "We were surprised and elated to see for ourselves how advanced Davao Oriental is on implementing the 'Whole of Nation Approach' for addressing communist insurgency. Now we have a template on how to do it in Region 10. 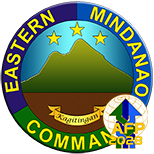 We will go full swing as we find Davao oriental's experience to be the best way to implement PRRD's Executive Order Number 70, to finally put an end to the communist insurgency in the country," he said. 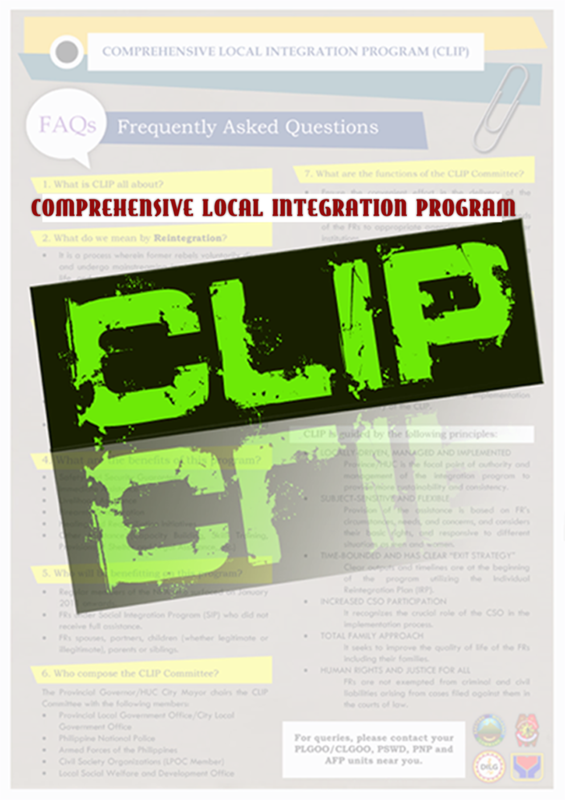 The formation of the E-CLIP and Halfway House Team to visit Davao Oriental was directed by 403Bde Commander Col Edgardo De Leon in coordination with CDO City DILG Director Atty Jane Docallos; Misamis Oriental DILG PD Engr Maris Naybe, and Bukidnon DILG PD Engr Carmelo Libot. Col. De Leon meanwhile, expressed his gratitude to the LGUs. "We are very thankful for all the support of Governor Jose Maria Zubiri Jr, Governor Bambi Emano, and Mayor Oscar Moreno. This project was made possible because of their full expression of intent to avail of the 5M Pesos DILG Funds for the construction of Halfway House for Former Rebels in their respective jurisdictions. This is their gesture of supporting our efforts to save and rehabilitate their constituents who were the deceived and exploited by the Communist Party of the Philippines (CPP). Muli, ako ay nananawagan sa mga elemento ng NPA na tanggapin na ang alok na biyaya ng ating pangulo, magsurender na kayo at kayo ay tutulungan namin na magbagong buhay," he said.